This is a sponsored conversation written by me on behalf of The J.M. Smucker Company. The opinions and text are all mine. Please see my disclosure policy. My Sawyer and Priscilla start a 2 week Summer Academy at their charter school this week. Once that’s done, it’ll be August. And then there are only 3 weeks left of summer vacation. One of which they will spend at their Grandparent’s house. Whew! Is your summer this fast moving, too? I’m honestly not sure about this Summer Academy business. I’m a little sad to lose quality summer time with my kids since they spend so much of summer with their dad as it is. But on the positive side, it’s a shortened school day spent almost entirely outdoors and at locations throughout our city, which is fun for them. 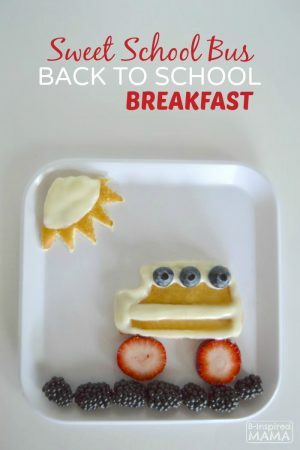 Another plus… it’s a great trial run for our back to school morning routine and some easy breakfast ideas. I’ve already found one breakfast winner! 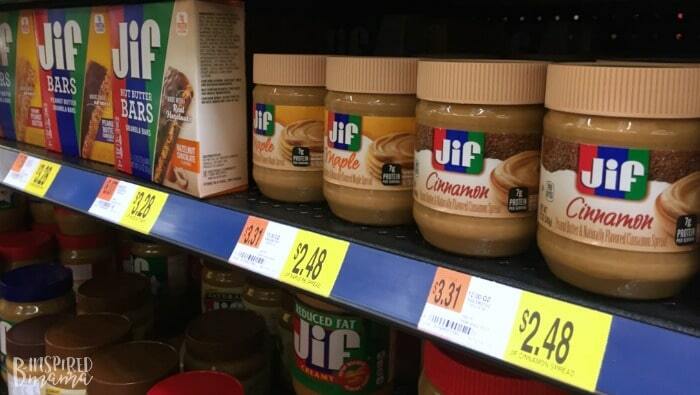 First, I found these Jif® Flavored Spreads at my local Walmart. My dad taught me when I was itty-bitty that warm waffles and pancakes are best topped with peanut butter before pouring on lots of maple syrup. So I knew immediately how I wanted to use my Jif® Maple Flavored Spread. 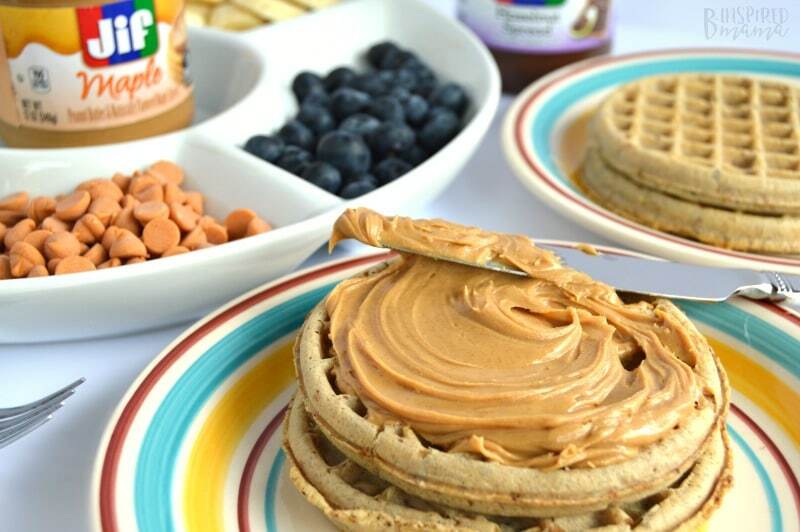 Jif® Maple Flavored Spread – but you could try the Jif® Cinnamon Flavored Spread, too! 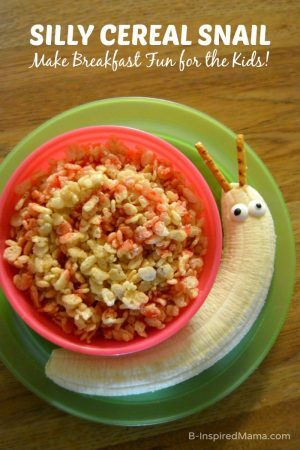 This kids’ breakfast couldn’t get any easier. Just get your frozen waffles toasting while you wash and prep the fruit. You could, of course, use homemade waffles, but we always have a stock of the frozen variety in the freezer for convenience. Then add your fresh fruit, nuts, and chocolate chips to a chip and dip platter. Finally, add your Jif® Flavored Spread of choice to the middle of the platter. 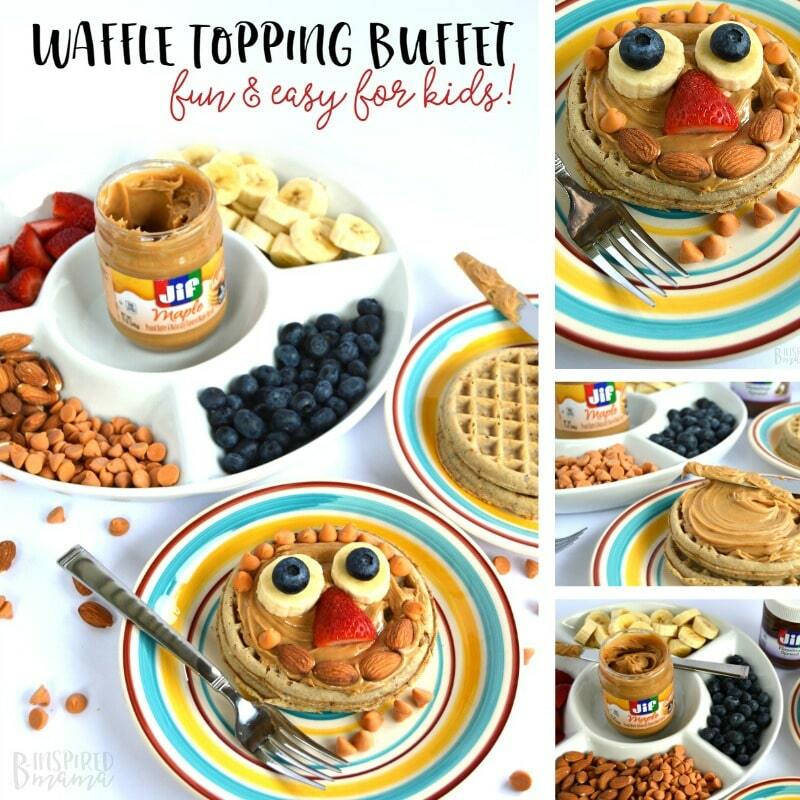 Present the kids with a stack of warm toasted waffles and this platter of delicious waffle toppings, and let them dig in buffet-style to make their own waffle creations. 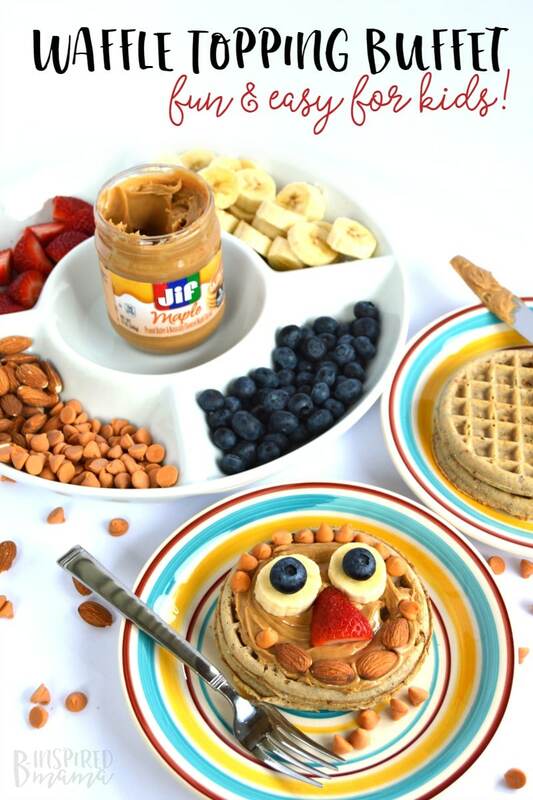 They’ll start their day #peanutbutterhappy thanks to Jif®! 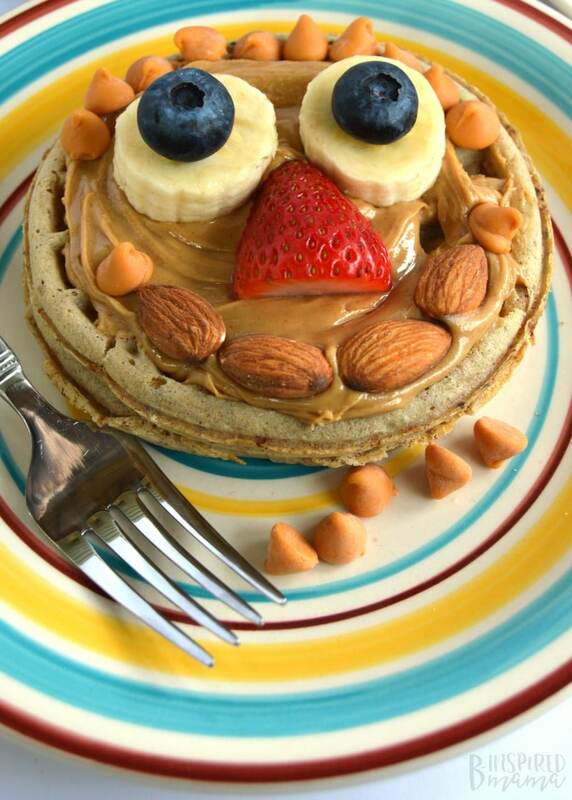 Their waffles might even end up “peanut butter happy,” too. Ha! 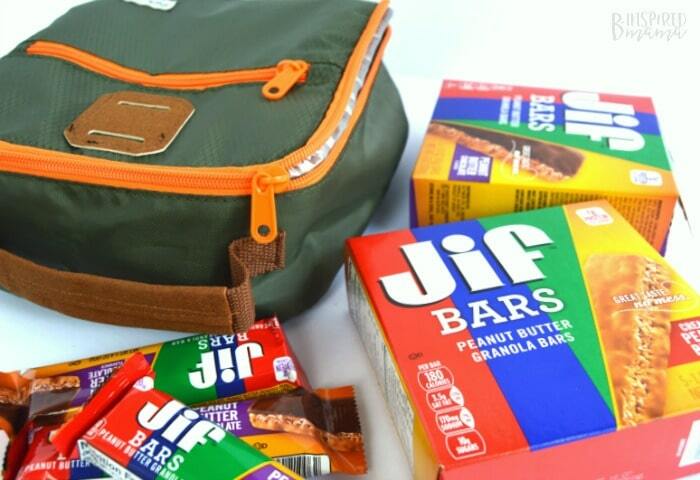 While you’re at Walmart, make sure to pick up some Jif™ Bars, too. They’re perfect for a treat in the kids’ lunch boxes or as a convenient after school snack.